We're just over a week since the Galaxy Note 10.1-2014 Edition made its way to the U.S., and now the latest big tablet from Samsung is popping up at U.K. retailers. 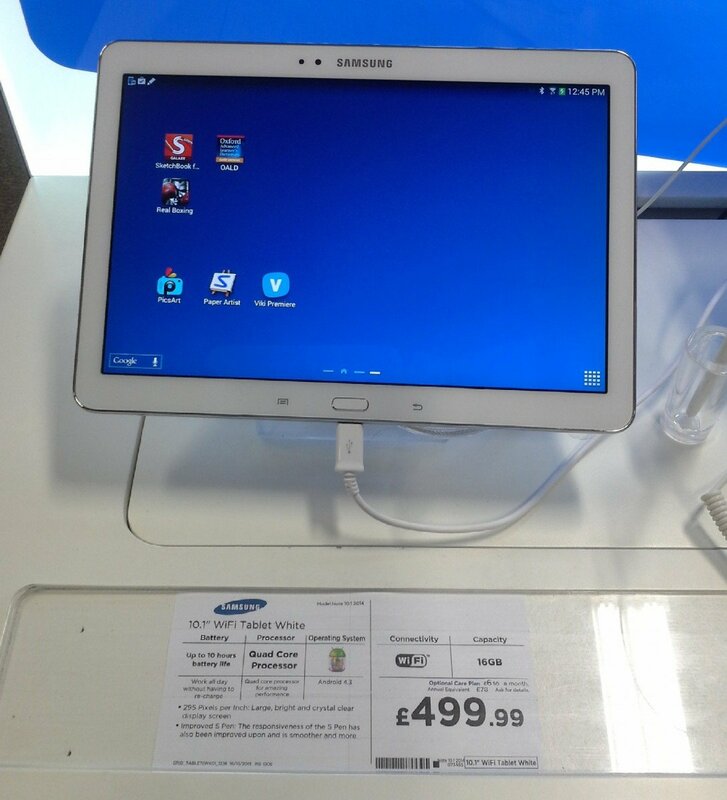 A reader has just sent in this image from a Currys/PC World in the U.K. where the tablet is up on display at £499.99 for 16GB of storage and Wifi connectivity. Interestingly the processor is listed as "quad core," even though the model hitting the U.S. is an octa-core (but we wouldn't be surprised if this was a typo in the end). The tipster indicates that the store will actually sell you one starting next week, even though they're already on display this weekend. We don't have any other solid indication of pricing or availability at other stores, although some online retailers such as Clove have the tablet listed at £479.99 for the Wifi model.